Charlie Lapson is a man on the move. Whether he is jetting off to Europe to personally select the highest quality leather and gemstones for his signature line of handbags and jewelry, or to Hollywood to outfit award-winning stars for the red carpet, as well as to Mexico, Dubai, Rio and Hong Kong for trunk show presentations, his international following continues to grow. Originating from New York and Miami, Lapson attended the prestigious Fashion Institute of Technology and The School of Visual Arts. His career continued in Los Angeles where he led the business of the mega million dollar successful brand Bugle Boy, and selling to Macy’s, Bloomingdales, Saks and prominent stores. Today, under his own label, Charlie Lapson’s distinctive jewelry, handbags, watches and clothing can be found in specialty stores around the world, on the internet and TV shopping globally. Charlie’s designs have been sought out by some of the most recognizable personalities on the planet including Hollywood icons Jennifer Anniston, Eva Longoria, Usher, Cameron Diaz, Brad Pitt, Sarah Jessica Parker, Will Smith, Justin Timberlake and Halle Berry. Lapson has a long list of famous Latin entertainers who have worn his designs on the red carpet, on stage, and on camera including Jennifer Lopez, Victor Manuelle, Marjorie De Sousa, Cristian De La Fuente, Angelica Maria, Ninel Conde, and Pedro Moreno, to name a few. 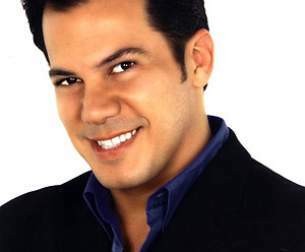 Through his involvement with such high–profile shows as the Academy Awards, Emmys, Grammys, Premios Lo Nuestro, and Dancing with the Stars, Charlie has captured the art of merging masterful design with individual personality to become one of the most requested consultants in the entertainment and fashion industries. Drawing upon his natural artistic ability, Charlie starts each creation as a blank canvas and turns it into a personalized work of art. Color, texture and unique shapes are the hallmarks of his collection. It is for these reasons that he has been recognized around the world with awards and honors for his work. While the glamour world keeps Lapson busy, he is passionate about his philanthropic work with the international charitable organizations he supports. For many years he has worked with Cancer Care groups, children’s educational foundations, St.Jude Hospital, GLAAD, Amigos For Kids, The Creative Coalition and various other worthy causes, as he believes it’s his mission to give back and lend a helping hand.